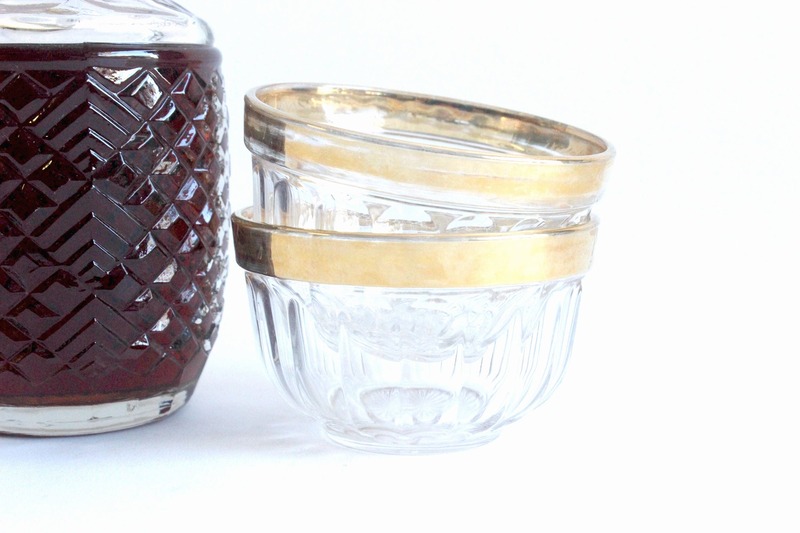 Set of 2 - Vintage glass candy bowls. 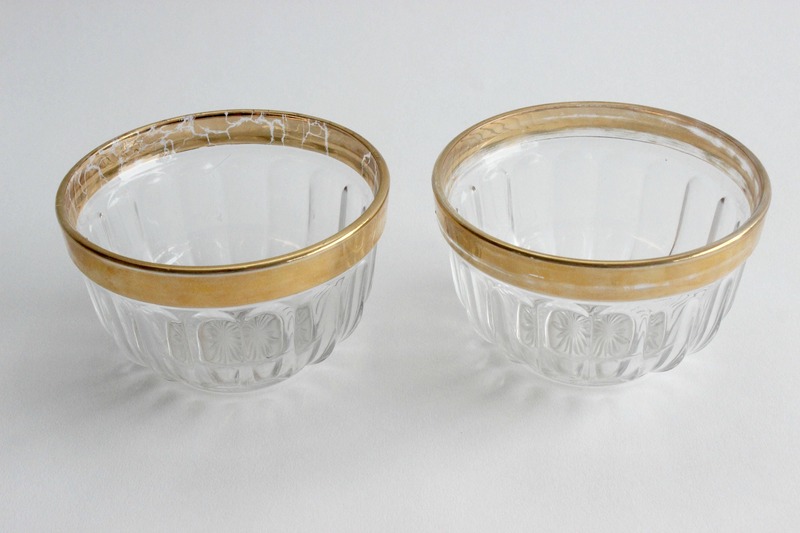 Small glass bowls with a simple pressed design and a thick gold trim. Gold trim is worn and slightly crackled here and there. 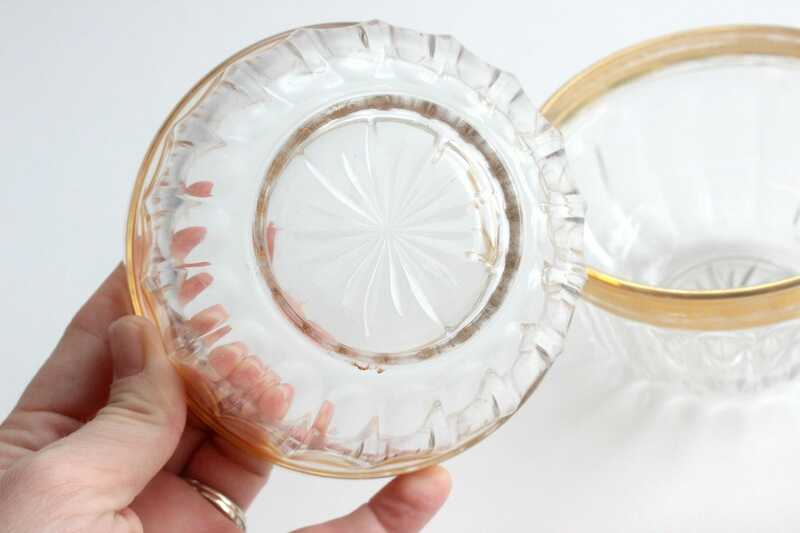 Perfect for serving fruit, candy, nuts, dip, and other small treats! Good vintage/used condition. 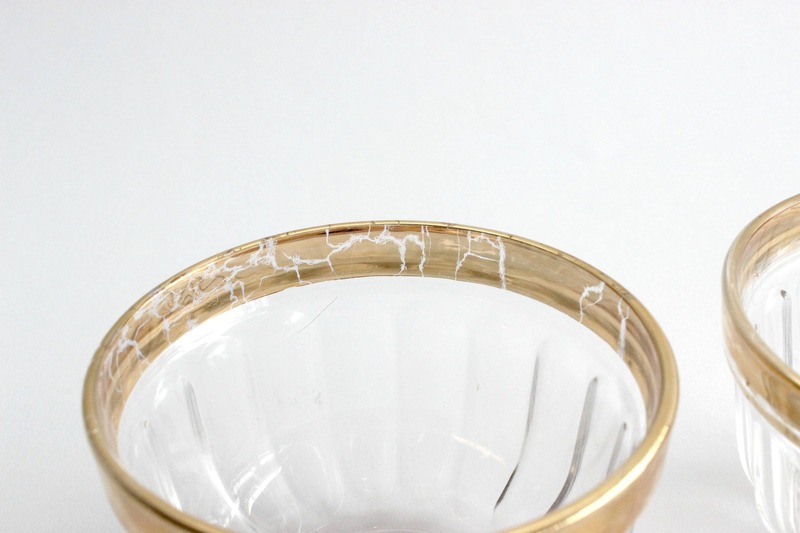 Gold trim is worn and crackled on both bowls. Very clean, no chips! Small bowls measure 4.25 inches across and 2.75 inches tall.